Now that the summer crops are all harvested and most of the beds have been mulched, and I’ve loaded up the greenhouse to bursting with all the tropical plants, I decided that I couldn’t bear to go another four months before starting my seeds. 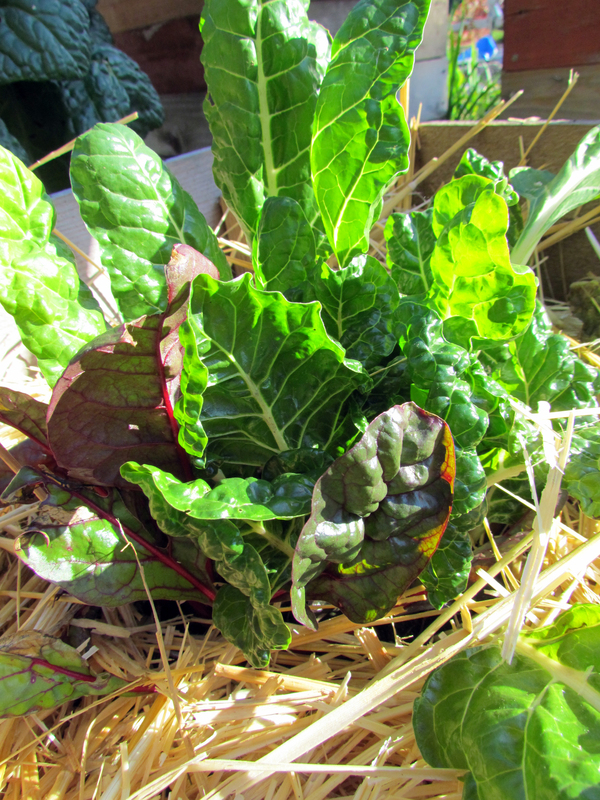 The need to be growing something new was strong, so I went to my favorite greenhouse and bought some cold weather greens, specifically chard (to replace what the bunnies ate to the ground) and romanescu. I planted them in the front raised beds, and mulched them heavily with straw, so hopefully they’ll actually grow! In other incredibly exciting news, I’m ecstatic to report that my loofa experiment was a resounding success. I harvested a ripe one today, peeled it, shook all the seeds out of it, then power washed it with a hose. Three hours later, I had a new sponge! At least one of those hours was devoted to scampering all over the kitchen and living room, picking up seeds that had flown out of the peeled loofa when I banged it against the sink. You’re supposed to hit it against the side of a bucket to knock all the seeds loose, but it was too cold outside for me so I used the sink. I was so thrilled with my new source of free, natural sponges, I immediately hopped on the Internet and ordered two more varieties. I’m going to start them in January so they’ll be ripe closer to the end of August, since they stop growing when it gets cold. I’m sure I’ll be able to get more than one sponge next year, now that I know what I’m doing. 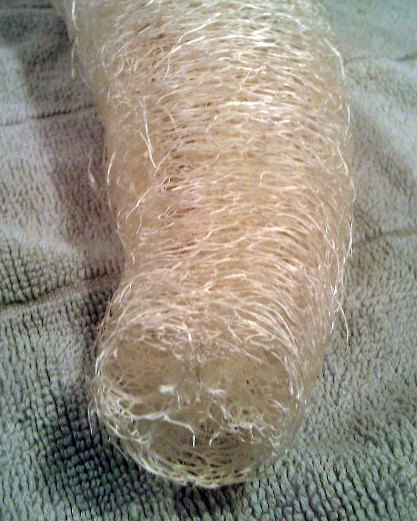 I had a bunch of loofas growing, but two got overly ripe and started to mold, and the remaining four that are still on the vine won’t grow enough since the weather turned. 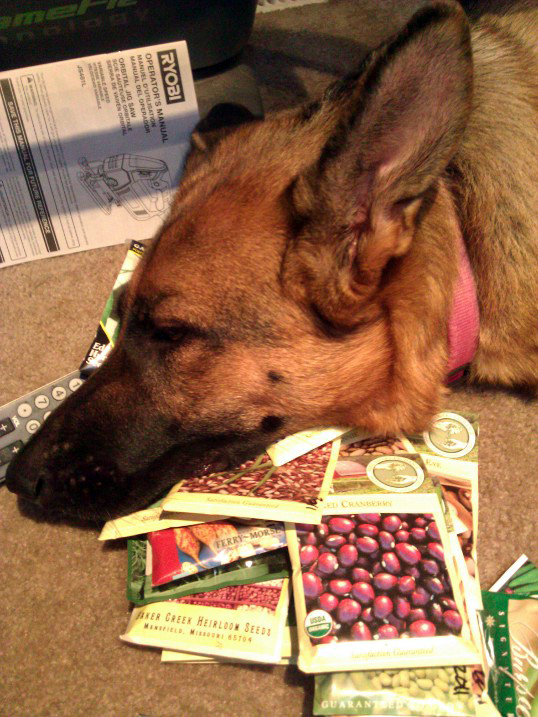 I spent the rest of the evening happily stretched out on the floor, sorting my cubby of 200+ seed packets and organizing my plans for next year’s gardens. Oddly enough, no matter how many opened and unopened seed packets I have, I’m always able to come up with a fairly extensive list of can’t-live-withouts. I’ve decided to try and limit myself to planting just one or two of each thing, and allowing it enough space in the garden so that I can actually harvest with ease months later. We’ll see how long that lasts, because my list of what I intend to plant is fairly long.